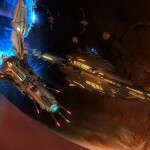 Jumpgate Evolution is the definitive elite space combat MMO set in an intense action-packed universe. Discover three playable nations, trade valuable commodities, take part in dangerous intergalactic raids, meet and play with friends and live out the dream to become an elite hero, all-controlling commander or infamous space pirate. 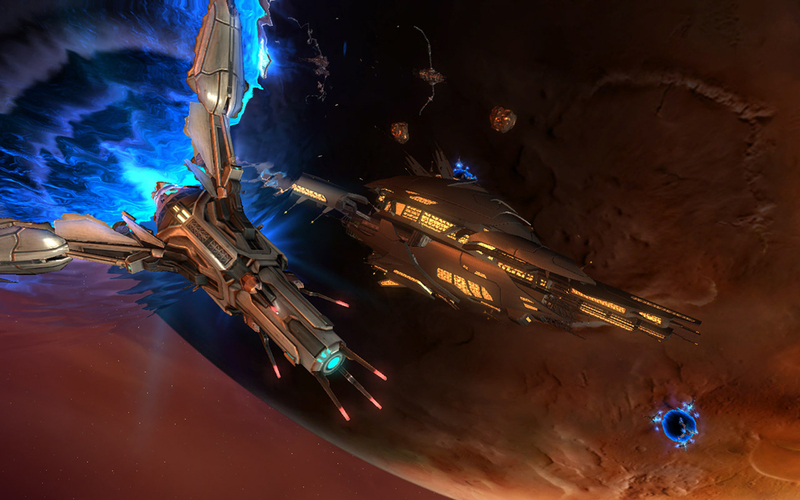 The game itself looks like a Eve Online variant, so one may wait for the Beta release to judge about it. If you want to sign up for the beta, visit the Jumpgate Evolution homepage. I’m signed up already and hope to be one of the many chosen for testing the game. What about you? With the release of Firefox 3 our favorite distraction bar, or better known as „StumbleUpon Bar“, got a few new features some of us may like others may not want to use. I don’t want to cover all of the new features. I only cover one which I don’t use and I believe there are many people who don’t want to use either. I’m talking about the „save as local bookmark if thumbed up or if tagged“. You stumble a site, you like it and you give your thumb up – Pew, and it is bookmarked. You want to tag a site – Pew, and it is bookmarked. I wish StumbleUpon wouldn’t set this feature to auto enabled, or at least they could ask us if we want to use this feature before enabling it. I’m not sure if they mentioned it somewhere and I’m a bit too lazy too Google for it. Every Gamer knows this problem: You play a game and your have your favorite messenger running in the background. Right in a fight you get an incoming message. Depending on your computer, the game and the messenger, you either get killed, the game/computer crashes or something else happens, like the Internet fails, that’s why getting a pro gaming router at least help with this problem. Also, you may not be able to „tab out“ and reply. Stupid Caps Lock – Be Gone!!! Who doesn’t this situation: You are typing a message and by accident you hit the CapsLock key and everything is written in capital letters. I bet you are as annoyed as I am when this happens. Fortunately we are not alone. A fellow sufferer, named Nick Hodges, decided to write a useful tool called CapsLockBeGone and I think it is worth to review it on here after I had a lot of time to evaluate the program. The first time I heard and enjoyed a song by Peter Gabriel I didn’t know how the song was named nor did I know who made that song. A few years later I saw the record of a concert by a – back then to me unknown – artist named Peter Gabriel on TV. I enjoyed the music and the show until I saw him playing Sledgehammer and I asked myself: „Hey, I know that song, it is awsome!“. Since then I’m some kind of a fan of Peter Gabriel. I’m owning some music from him, but I didn’t attend a concert or so. Anyway, I don’t know if you ever heard about him. So let me give you some information about him. Peter Brian Gabriel (born 13 February 1950, in Chobham, Surrey, England) is an English musician. He first came to fame as the lead vocalist and flautist of the progressive rock group Genesis. After leaving Genesis, Gabriel went on to a successful solo career. More recently he has focused on producing and promoting world music and pioneering digital distribution methods for music. He has also been involved in various humanitarian efforts.